A 23-year-old girl has big plans for life - at least to become no less popular than Kim Kardashian. On December 25, 1995 Eminem received the best Christmas gift in his life - Kimberly Scott gave birth to his daughter. Despite the fact that the relationship between Eminem and Kimberly was not smooth (they married and divorced twice), the rapper always took an active part in the life of the girl. 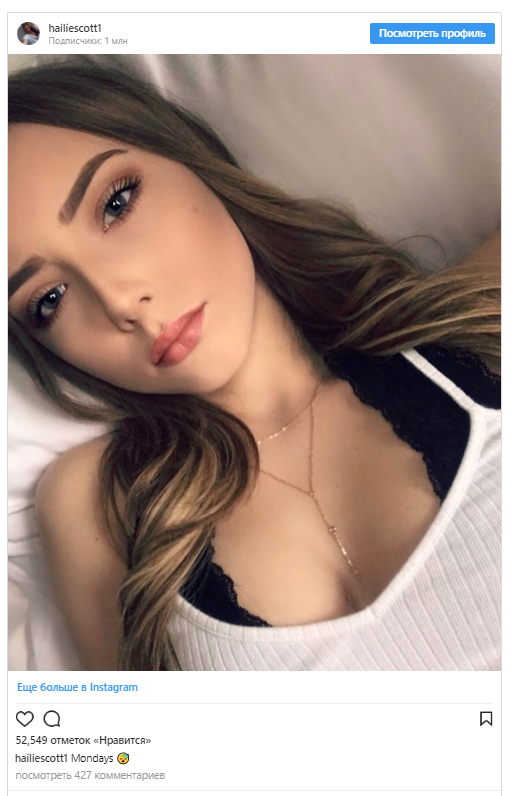 Hailie Scott is the only common biological child of Eminem and Kimberly. But she has half-sisters, whom the rapper took into custody - Alaina (daughter of her mother's sister) and Whitney (daughter of Kimberly from other relationships). 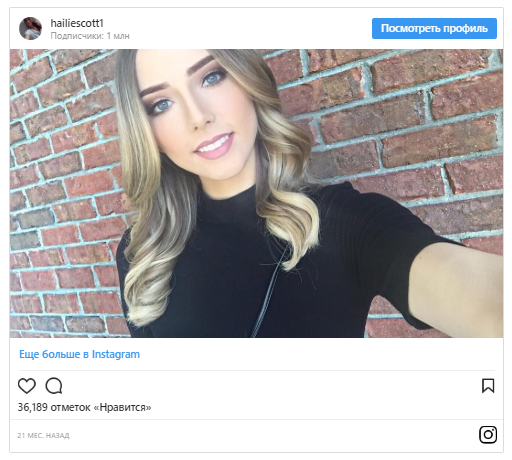 Hailie Scott's father's daughter. As a child, she often visited the recording studio with her father and greatly influenced his work. In one of his interviews, Eminem said: "One day I took her with me to the studio. She ran around and screamed "It seems my dad is going crazy." So the song My Dad's Gone Crazy appeared. " 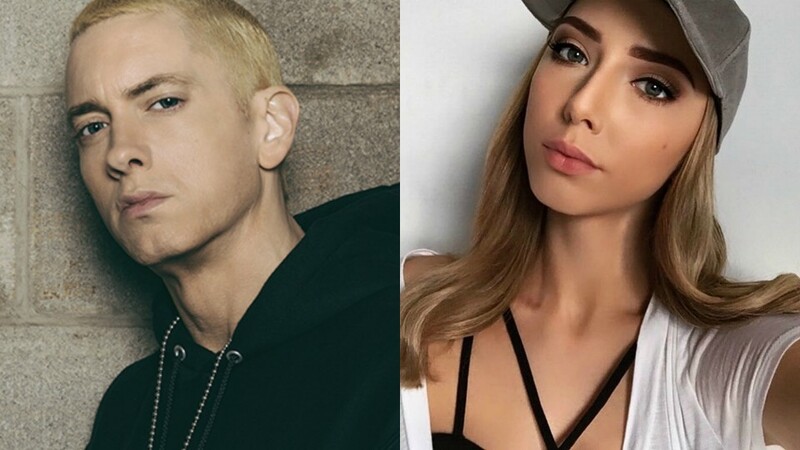 Eminem also mentioned his daughter in the tracks Hailie Scott's Song, Castle, Arose, 97 Bonnie and Clyde, Cleaning Out My Closet and Going Through Changes. Despite the fact that Eminem often made references to Hailie in his work, he did not want her childhood to be public. The girl grew away from camera flashes - in Michigan. She led the life of an ordinary child. In 2013, Hailie became the beauty queen in her school. She was awarded the crown during a football match. Dad, of course, watched the daughter's triumph, but a little from afar - in order not to attract attention to himself and not to take away from Hailie her finest hour. Hailie studied at the regular high school Chippewa Valley High School, which she graduated with honors. Teachers always spoke well of the girl - she diligently studied, participated in all sorts of school activities and played volleyball. After school, Hailie continued her education at the Faculty of Psychology at Michigan State University. There she also led the life of a perfectly normal teenager - she was in the women's society, went to parties, but was an exemplary student, for the joy of her parents. 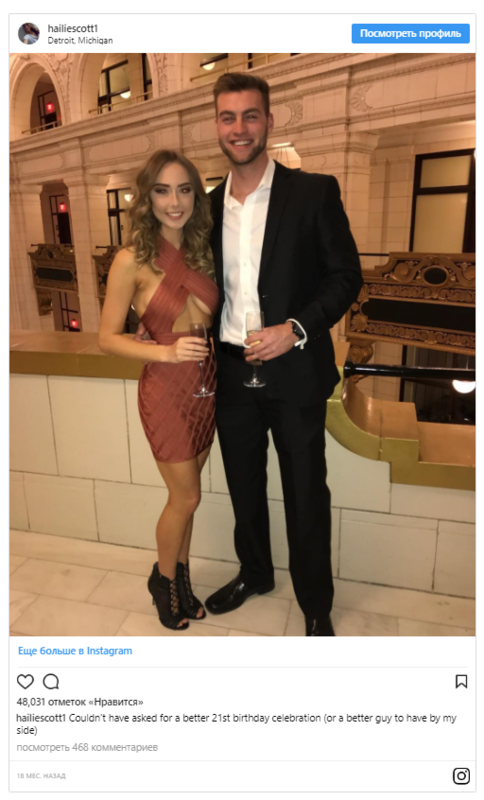 This year, Hailie graduated from the university. The girl does not plan to work at her profession, and doesn't want to follow in the footsteps of her father and build a career in the music world, too. Instead, Hailie seems to be aiming at the title of the new Kim Kardashian - she dreams of becoming an instagram star. She has all that is needed for this - effective appearance and already phenomenal recognition and popularity. 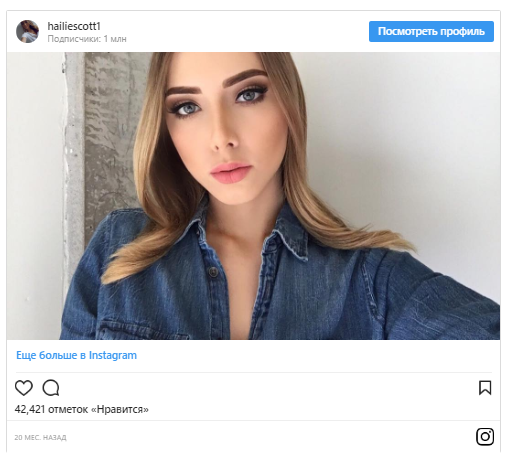 In the social network, Hailie has almost a million followers. And, there were only 23 photos in her account for three years. 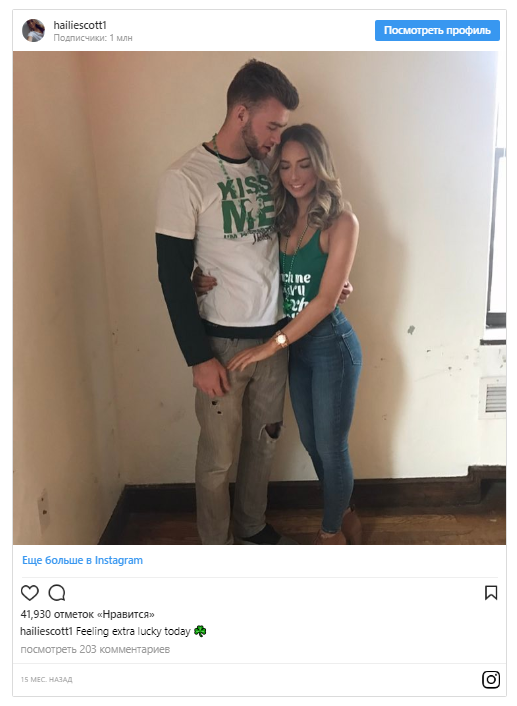 There are very few photos on Hailie 's instagram, but among them there was a place for a couple of pictures with her boyfriend. Little is known about the young man - his name is Evan and he is damn good-looking. Everything else is personal. Hailie is still an intelligent child and knows the price of privacy, so she does not show off her love story.